How old is too old to sit upon Santa's knee? I don't worry about the answer to these types of questions when I see an authentic-looking jolly old Saint Nicholas. I just smile and tell Santa my Christmas wishes. This year, Megs and I went to This is the Place for their Candlelight Christmas celebration. 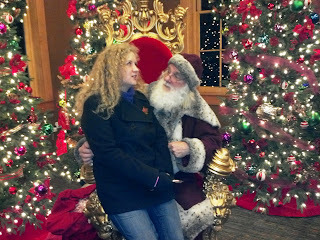 On our way out, they asked if we wanted to talk to Father Christmas. YES! 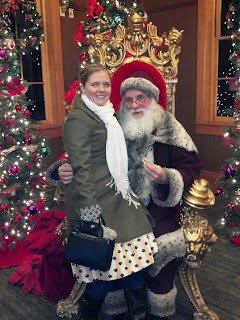 Megs was a little more hesitant than I, but my excitement was utterly contagious and she gave in:-) Father Christmas never got around to asking me what I wanted, he was more interested in where I graduated (BYU is the right answer, apparently) and what I was doing with my life. I'm glad Santa is a supporter of education. He clearly got around to asking Megs her wishes, as you can see the wheels in her brain turning in her photo. 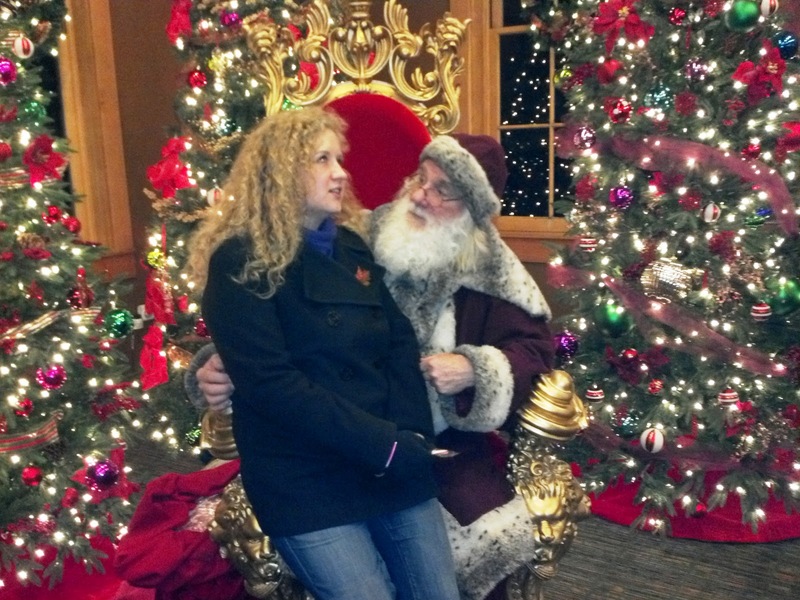 I love Santa. Do you?